The Oscar Awards is one of the most prestigious award ceremonies out there. Everyone wants to be invited, everyone wants to be nominated, and everyone wants to see what the celebs wear when they make their way to the red carpet. Because it is so popular and famous, celebs can’t pose for the cameras in denim jeans and T-shirt. They need to pull out all of the stops, and they are expected to look more beautiful than they have ever looked. 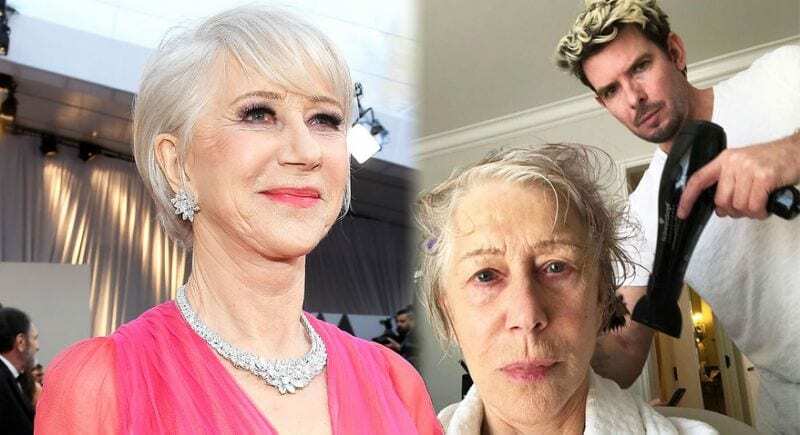 However, Helen Mirren decided to showcase what the Oscars is really like with this before and after selfie. As one of the most famous women in Hollywood, there’s no doubt about the fact that Helen Mirren is hugely successful. She has worked on some of the biggest movie productions in the world, and everyone seems to know her name. Because of this, fans and press alike have certain expectations when it comes to her presentation. They expect her to be dressed up to the nines, and they expect her to always be on form. Of course, nobody spends 24 hours a day in designer clothing and layers of makeup. That’s just not how it works. Because the Oscars is known for being fancy and sophisticated, we only really see this side to it. We see the glamorous selfies on social media, we see the impressive red carpet photos, and then we see what they look like when they make their way onto the stage. We don’t see the hours of work that goes into making these celebs look their best – so Helen wanted to change that. 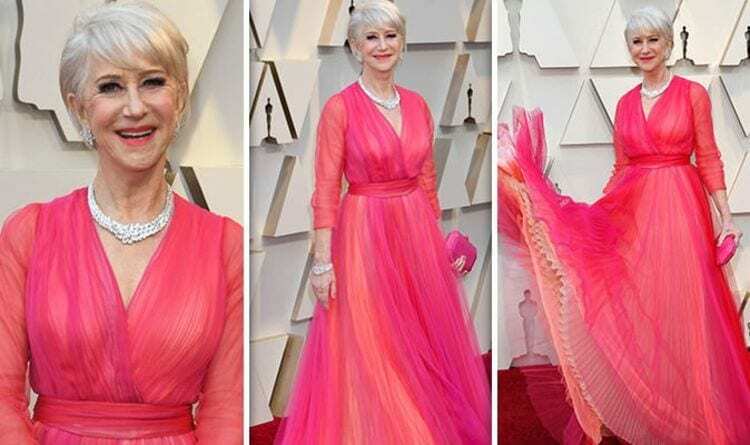 Although fans were blown away when they saw Helen Mirren take to the Oscars’ red carpet in her beautiful gown and over $4 million worth of Harry Winston diamonds on her body, Helen wanted to show the world that it’s not all it seems. This is one night amongst the rest of the year, and it’s a night to pull out all of the stops. She posted a photograph to show what she looked like without any makeup on, and what she looked like before the Oscars transformation began. She was immediately praised for being so open and honest and showing us another side to the celebrity world.